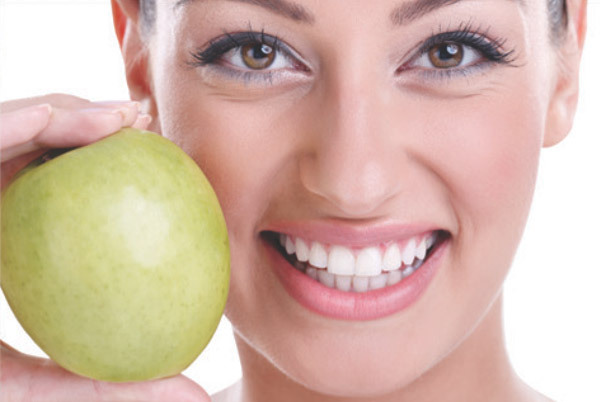 General dentistry is an essential part of your overall health and well-being. Dentistry has evolved tremendously over the past several decades and continues to evolve today to be safer and simpler than ever before. Dr. Matian created Bio Dental to deliver some of the best general dentistry in Encino that encompasses the philosophy of cutting edge and holistic treatment for each patient. 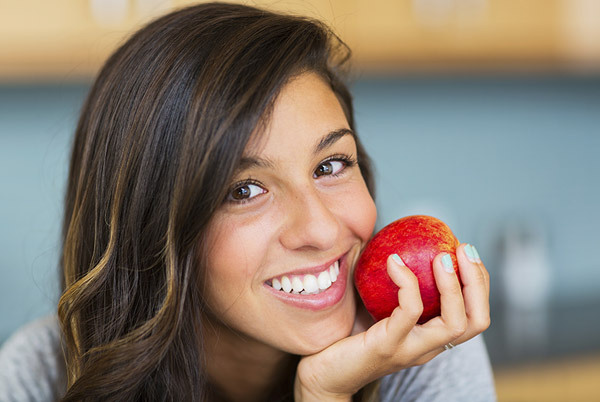 Dental issues and oral hygiene is just one component of your overall biochemical structure and can be a major reflection of your general nutrition and health. Top Encinco dentist Dr. Matian recognizes this and uses biochemical indicators to address all components of good oral hygiene. He educates customers on how nutrition and vitamins and minerals can prevent and correct gum disease and tooth decay. This even extends to how you can help reduce sugar cravings and other food habits that may contribute to dental decay. Dr. Matian also places a heavy emphasis on using biocompatible materials and procedures. Whereas metal fillings and fixtures have been a longstanding norm in dentistry, toxicity and allergies to metals and other materials have proven the need for safer and more suitable processes and substances. 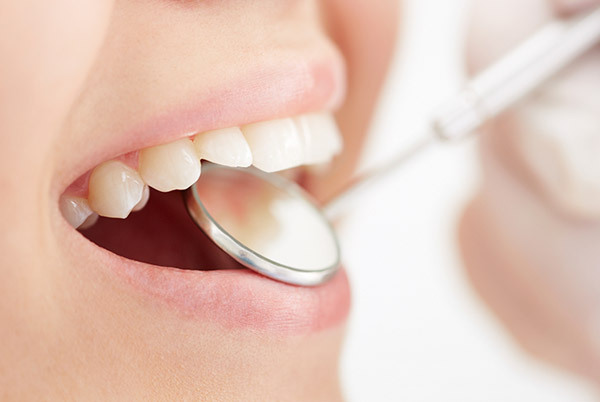 At BioDental, we use biocompatible testing to determine which materials are appropriate for our patients depending on their unique biochemistry. At the BioDental office of top Encino dentist Dr. Matian, services have been curated to avoid metal fillings, crowns, implants and restorations of any kind. This prevents exposing patients to allergens and toxins while also producing a more natural result. While metal fillings, especially those that contain mercury, have been the norm for the past 150 years, evidence is amounting on the dangers of metal fillings in terms of overall toxicity and metal poisoning as a result of long-term exposure to these substances. Mercury is a neurotoxin, a substance that negatively affects the brain and nervous system. It has been connected to adverse affects on fertility and blood pressure and has also been linked to impaired development in children, memory loss, vision loss and heart disease. Mercury is a volatile metal that also can negatively affect the structure of the teeth themselves. Dr. Matian’s metal-free dentistry reflects his holistic philosophy and commitment to the safest and most effective cosmetic and general dentistry practices available. Root canals may have a bad reputation among patients, but the pain involved in ignoring the need for a root canal is generally much worse. With today’s technology plus the experience of Dr. Matian and the staff at Bio Dental in Encino, your visit can be made as comfortable as possible and you can finally experience life free from dental pain. The purpose of a root canal is to remove the nerve and pulp that have become infected while salvaging the tooth. This resolves many of the problems associated with infection including tooth pain, tooth and gum sensitivity, discoloration and swelling. Once the procedure is complete, which can often take just one visit in our Encino dental offices, the tooth is cleaned and sealed with biocompatible materials to ensure a full recovery. Tooth extraction is actually one of the simplest dental procedures and can be done comfortably and with minimal pain. Under the care of Dr. Matian and the Bio Dental team, you will be treated in a comfortable and peaceful environment. Depending on the number of teeth needing extraction, you will receive local or general anesthetic. After being anesthetized, your sensation will consist merely of the pressure of the tooth removal. Post-extraction, pain is treated with painkillers, as necessary, rest and a regiment of softer foods. Once performed, extraction may be the final step in addressing an infection or can allow for successful cosmetic and general dentistry procedures that may not have been possible prior to extraction. White fillings are made of a composite resin and are an excellent aesthetic choice as they create a more natural look than metal fillings. Additionally, there is little risk of any of the negative allergic reactions or toxic effects more and more associated with darker metal fillings. These fillings are also more biocompatible in that they more accurately mimic the strength of a natural tooth, avoiding unnatural stress that metal fillings can place on the original tooth. The inlays and onlays created at Dr. Matian’s office are similar to white fillings in that they are made of biocompatible, natural-colored materials and used to fill spaces in the teeth. Inlays are usually used when the cavity that requires filling is larger than a space that would normally be addressed with a filling. Onlays are used to cover the tops of teeth, especially where the cusps (top ridges) of a tooth are missing or have been damaged. The inlays and onlays at Bio Dental are made of ceramic, a healthy alternative to metals while still being strong and durable—but not rigid to the point where they would cause stress or damage to the teeth. What’s more, as a top Encino dentist, Dr. Matian uses CEREC technology, which allows your ceramic inlays and onlays to be milled directly in our Encino offices, so you can get your entire procedure completed in just one visit. Implants are the procedure of choice to replace one or more missing teeth. They are more stable and long-lasting than bridges, partials or dentures, and dental implants do not rely on surrounding teeth for support. Aesthetically, they appear more natural and beautiful and do not present problems in talking or eating, so you can be completely confident in your results and smile. Additionally, Dr. Matian uses CeraRoot implants, made of a special ceramic called Zirconia. CeraRoot implants are more biocompatible than regular titanium implants and have been proven to retain less plaque than titanium. These implants have also demonstrated better bone fusion than titanium. It’s important to realize that the longer you go with the gaps resulting from missing teeth, the more your teeth will shift to fill these spaces and the more dental issues may be created. Natural teeth are also an essential component in bone and gum health. Implants mimic natural teeth and continue to work with your natural biochemistry to maintain a healthy mouth, whereas missing teeth may accelerate bone degeneration and other oral issues. 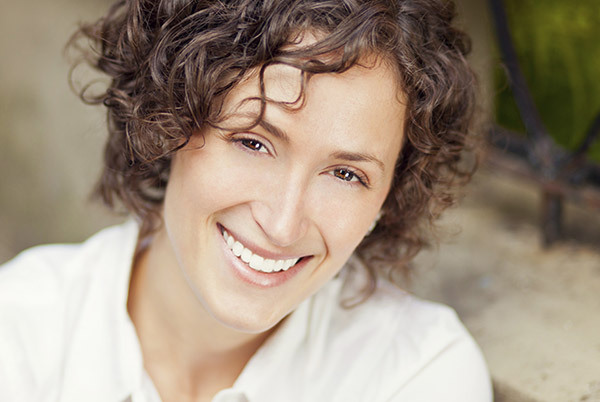 As a board-certified periodontist and holistic dentist, Dr. Matian is a perfect choice to perform your dental implant procedure. The state-of-the-art Bio Dental offices plus the experience of Dr. Matian’s staff allow a dental implant procedure for one tooth to be performed in about an hour. For many, lower dentures can be a constant cause of distraction and discomfort, especially while eating or in social situations. Until recently, the only alternative was dental implants. However, certain patients did not have the bone density necessary to support this procedure. Others simply didn’t wish to have extensive and invasive surgery. Now, Dr. Matian is proud to be able to offer Mini Dental Implants or MDIs. The Mini Dental Implant procedure takes about an hour and does not require sutures or major anesthetic. More importantly, the procedure achieves a 90% improvement in stability for a look and feel that is above and beyond anything you would experience with traditional dentures. Mini Dental Implants are only 2 millimeters in size, resulting in a reduced impact on the jaw and surrounding gum area. Typically two to four MDIs are placed that corresponds to housings on your denture. The denture can be easily snapped in or out to maintain hygiene and comfort, but will not become dislodged by normal, everyday activities such as eating tougher foods like steak or apples or talking and laughing with friends. Gum disease or periodontal disease is a condition where bacteria negatively affect the gums and sometimes the teeth. It can result in bad breath, bleeding gums, sensitivity and, in extreme cases, tooth and bone loss. 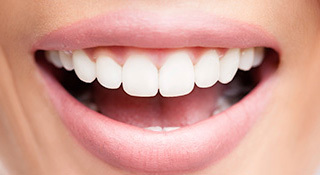 Oral health is also connected to the health of other areas of the body. Periodontal disease has been linked to blood clotting, chronic inflammation, heart disease, respiratory disease and Type 2 diabetes. At Bio Dental, we are proud to offer the PerioProtect® method for treating periodontal disease. PerioProtect® is a minimally invasive, highly effective method for treating bad breath and other negative effects of gum disease by delivering medication directly to the source of the infection: bacteria below the gumline. These treatments are customized to each individual patient and his or her exact needs. Anti-bacterial therapy is administered through the application of dental trays that deliver prescription medications directly to the site of the bacteria. Traditional cleaning procedures, also known as mechanical debridement, are also used to ensure that bacteria are not reintroduced to the treated area from other sources of bacteria within the mouth. This simply procedure can produce major results and is an important component of preventative dental care. The goal of periodontal treatment is to experience better oral health, fresher breath, whiter teeth and better general health.